Atiku’s VP To Come From South-West, Not South-East? Atiku Abubakar, presidential candidate of the Peoples Democratic Party (PDP), will get a running mate from the South-West — although there is a “very strong case” for the South-East — SR has been told. 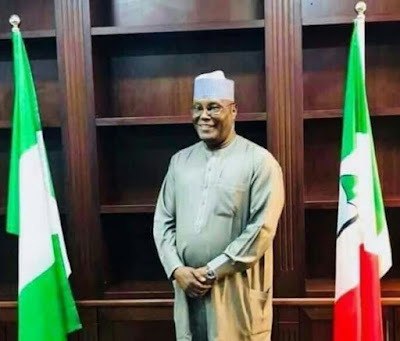 Wednesday is the deadline set by the Independent National Electoral Commission (INEC) for parties to submit the names of their presidential candidates and their running mates, meaning a series of meetings have been going on since Sunday when Atiku won the PDP ticket. despite the appeal of the South-East, there are three very important reasons why the decision-makers are already leaning towards the South-West. “The whole focus is definitely between South-West and South-East. A lot of dynamics come to play, because the Vice Presidency is not strictly a political position,” the source, who requested not to be named, told SR.
“They are also looking at the Osinbajo factor as well. Osinbajo comes across as a technocrat, somebody who is intelligent, very smart — and he is from South-West. “To you and me, it doesn’t make sense — because we know that, to a large extent, where you come from does not really have a direct impact on the people’s yearnings. "Having Osinbajo in government was a factor for Tinubu; when the cabal was moving against him, trying to short-change him, Osinbajo was the one standing for him in the presidency. "So, to a large extent, the party hierarchy feel that if they have someone like that occupying the number-two position, they will be able to push the South-West agenda from the presidency; and they have someone they can hold responsible if Atiku does not deliver his restructuring programme.